American Craft Beer Week begins today and lasts until Sunday May 17. The week is described as “a national celebration highlighting the culture and contributions of craft beer.” Craft brewers want the week to inspire beer enthusiasts to declare their independence by supporting breweries that produce fewer than 2 million barrels of beer a year and are independently owned. During the week, special brewery tours, beer and food pairing events, special release craft beers and festivals will take place all across the U.S. It’s sponsored by the Brewers Association, a trade organization of small brewers based in Boulder, Colorado. Originally held on a single day, it was changed to a week when it was recognized by the U.S. Congress, who declared the weekly holiday when they passed House Resolution 753 in 2006. 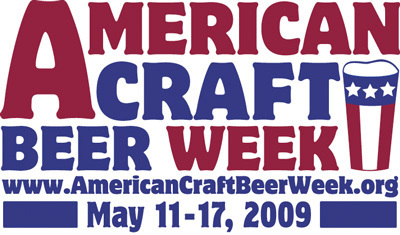 You can find our more information at the ACBW website and also the ACBW Facebook page. This relates. I think it will give you a chuckle. Feel free to repost with a link.